When you listen to a song that’s unexpectedly cut off in the middle, your mind will repeatedly inject your thought stream with bits of the song in an attempt to remind you that you’re not yet “done” listening. But, once you listen to that song completely, your mind moves on. 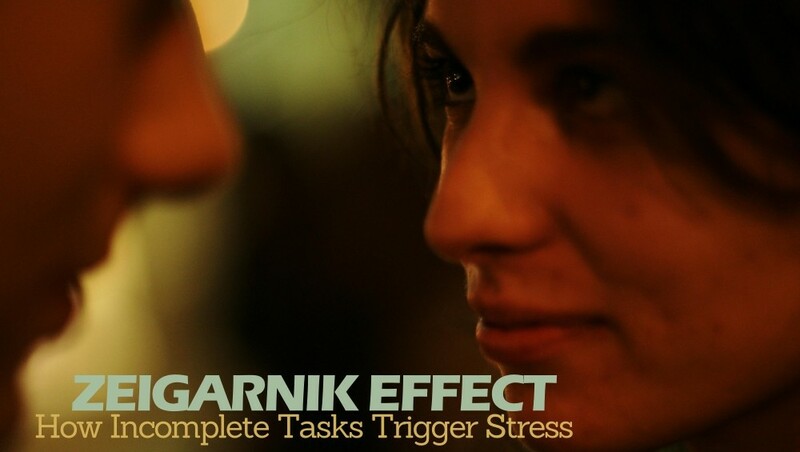 Psychologists identify this tendency for interrupted tasks—and thoughts—to be evoked better than completed tasks the Zeigarnik Effect. This phenomenon was first reported in the 1920s by the Lithuanian psychologist Bluma Zeigarnik. 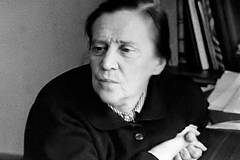 Working with her research advisor Kurt Lewin at the University of Berlin, Zeigarnik observed that restaurant waiters seemed to remember a complex order just so long as the order was in the process of being prepared and served, but not after it was finished. Zeigarnik effect is in force when an episode of a TV series ends with a cliffhanger leaving the audience in suspense until the next episode. Teachers who conclude their lectures by posing a perplexing question stimulate the class to think about the answer until the next class. In another prominent use of the cliffhanger and the Zeigarnik Effect as a literary device, the English novelist Charles Dickens released most of his novels in the form of serial publications, i.e. in monthly or weekly installments. Dickens’s cliffhangers initiated such anticipation in reader’s minds that his American fans would gather at New York City’s docks for the latest installment to arrive by ship from England. The installment format also allowed Dickens to rework his character development and his plots depending on audiences’ reactions. Psychologist Bluma Zeigarnik’s research showed that the human mind hates unfinished tasks. Zeigarnik theorized that incomplete tasks incite “psychic tension” in you, which can be a persuasive impetus to complete the task. As long as you leave the task unfinished, your brain is in an uncomfortable position. Thoughts of the task serve to remind your brain of what it needs to do to get “comfortable” once again. As soon as you complete the task, this tension is alleviated, and in so doing, your brain lets the mind to release thoughts of the task from consciousness. In other words, much mental effort is required when your tasks are interrupted or are still in the process of being completed. From a time-management perspective, uncompleted tasks and unmet goals have a propensity for popping into your mind and worrying you persistently until the task is completed and the goal reached. 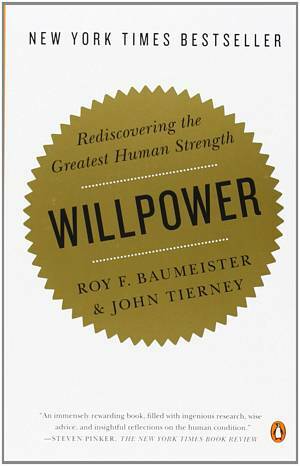 According to John Tierney and Roy Baumeister’s Willpower: Rediscovering the Greatest Human Strength, further research in cognitive psychology has suggested that the Zeigarnik effect exists not just until you actually finish a task but also until you make concrete plans related to the task. … turns out that the Zeigarnik effect is not, as was assumed for decades, a reminder that continues unabated until the task gets done. The persistence of distracting thoughts is not an indication that the unconscious is working to finish the task. Nor is it the unconscious nagging the conscious mind to finish the task right away. Instead, the unconscious is asking the conscious mind to make a plan. The unconscious mind apparently can’t do this on its own, so it nags the conscious mind to make a plan with specifics like time, place, and opportunity. Once the plan is formed, the unconscious can stop nagging the conscious mind with reminders. According to Willpower, one research study asked students to think about an important exam. Half of the students were asked to put in writing specific plans of what/where/when they would study. Later, all students were asked to do a word association test. The group of students that did not write any study plans produced more word associations related to studying because studying was still on their mind; the group who did write down their study plans did not exhibit a comparable bias during the word association test. The Zeigarnik Effect is the central theorem in David Allen’s legendary “Getting Things Done” method for task-management works. Allen reasons that the dominant cause of everyday anxiety is that you are never truly sure of all the ‘things’ you’re supposed to do. You know you’ve got things to take care of and haven’t. Therefore, your mind keeps incoherently revisiting all that’s important but not yet completed. These “open loops” occupy much of your cognitive effort and debilitate your attention, causing anxiety, sapping your energy, and draining your willpower. 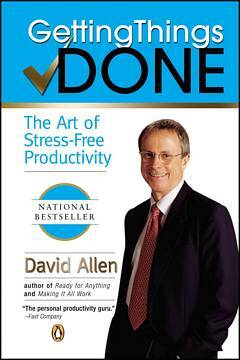 The primary benefit of using Allen’s Getting Things Done system is to reduce anxiety by emptying your mind of nagging tasks, filing away (or writing down) everything that must be done, placing them into a processing system, and scheduling chunks of time to single-mindedly do important things. According to the Zeigarnik Effect, unresolved and interrupted tasks thieve the attention of your brain until you have a clear—if subconscious—proposal of what you’re going to deal with them. Just the simple act of capturing a task that reaches your head can achieve that sense of completion. Even if you haven’t completed the task, you’ll know that you’ve accomplished what could be done up to the moment. Use the Two-minute ‘Do-It-Now’ Rule. See my previous article on this task management discipline—in a nutshell: act immediately upon a contemplated task if it can be completed in less than two minutes. Don’t add it to your to-do list. Make a Concrete Plan. Whenever you have a task in mind, stop doing whatever you’re doing, take a blank sheet of paper, and invest one minute to plan and record how you intend to tackle the task. If you intend to write an essay, write an outline; if it’s a report, start the list of contents. Use To-Do Lists Judiciously. Establish and peruse a trusted system to capture your projects and tasks, and the commitments you have to yourself and others. 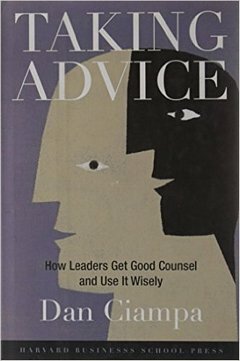 According to David Allen’s Getting Things Done, your human brain is an ineffective and unreliable repository of all the things you try to cram into it. All this “stuff” collectively clutters your headspace. Getting all your stuff out of your head and into a trusted system can bring about a profound sense of relief. Until we delegate the task to somebody; many things occupy headspace. The moment we transfer the same to somebody else trustworthy we feel relieved.